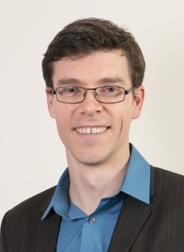 Dr Juan Mulder is a Consultant Respiratory and Sleep Medicine Physician. Juan undertook additional training in Intensive Care, to enable him to manage complex modes of invasive and non-invasive ventilation, as well as treating critically ill patients. He has a particular interest in sleep disorders, especially complex disorders such as insomnia, parasomnia, narcolepsy, restless legs syndrome and sleep apnoea. He is also a firm believer in a multimodal approach to managing sleep disorders, given their frequently complex nature.